We've got just the hose for you! Intelligent hose systems and new digital business models - that's what the Masterflex Group, which specializes in hose and connecting systems made of high-performance plastics and fabrics for demanding industrial applications, is bringing to HANNOVER MESSE 2019. 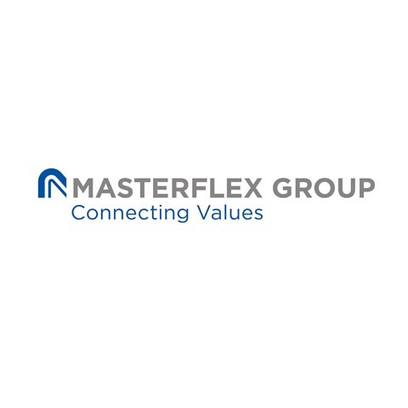 As a listed company specializing in the development and production of sophisticated hose and connecting systems, the Masterflex Group brings together six brands for a variety of connection requirements under one roof. This list includes Matzen & Timm, Novoplast Schlauchtechnik, Fleima-Plastic, Masterduct and APT, in addition to Masterflex itself. At HANNOVER MESSE 2019, Masterflex is unveiling its new AMPIUS series, a range of intelligent hose systems that will soon be equipped with a digital interface as standard. This interface will make it possible to retrieve not only the unique product identification, but also data regarding wear, abrasion, temperature and flow rates. These kinds of smart components with lifecycle tracking capabilities are becoming increasingly important, particularly when it comes to state-of-the-art predictive maintenance. "It's always important to ask how machine downtimes can be prevented or, at the very least, kept to a minimum," says Christian Horstkötter, Managing Director Sales Europe Industrial Solutions of the Masterflex Group. "Ideally, our products help to precisely predict failures so that the machine operator or maintenance team can take action before actual breakdowns occur." Sharing the limelight in Hannover with the company’s intelligent hose systems is the Engineering Services division. Customers can thus benefit from both a comprehensive product portfolio and in-depth expertise regarding the application-oriented system solutions of all the brands in the Masterflex Group.